Hotel Niseko Alpen will be temporarily closed from May 7 to May 16 for maintenance of the facilities. 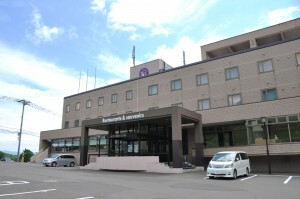 During this period of closure, day-trip use of the hot springs, the hot stone sauna, the pool, Restaurant Slalom, Shokusai HIRAFU, and the hotel shop will also be closed. The hotel shop and TOKYU HANDS store will close at 4pm on May 6. Restaurant Slalom and Shokusai HIRAFU will close at lunchtime hours. Please be aware that accommodation facilities, day-trip use of the hot springs, the hot stone sauna, the pool, and the karaoke facilities are unavailable today. Hotel Niseko Alpen will now change to our summer season, and will be warmly welcoming new customers from May 17 onwards. We deeply appreciate your continued patronage.